Sour Pickles Hunts bring you the You're Beautiful Hunt. This hunt will take place from May 1-31st. Accepting applications till April 22nd. 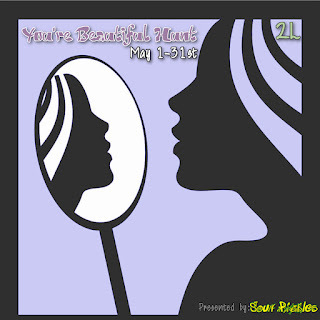 THE THEME: Everyone is Beautiful in their own way and in the eyes of the ones that love them. Items could be anything that a person feels that is beautiful from the delicate floral pattern to the green toad that one might kiss to be a prince. This is a 2L hunt. Thank you for your interest in the Sour Pickles Hunt "You're Beautiful Hunt."